United Way of the New River Valley is a local, independently incorporated, volunteer-governed organization. Our mission is to unite local people and resources to improve lives in the New River Valley. United Way unites individual and corporate donations to achieve measurable, lasting results. Our organization is primarily known for funding 25 local partner organizations, but we also provide several direct service programs and are a place for individuals and organizations to turn to when critical community needs arise in the New River Valley. Through the United Way community investment process, our partner organizations provide the community investment volunteer teams with a formal funding request, financial information, service numbers, and an in-depth look into the service their organization is providing to the New River Valley community. The community investment teams then distribute funding based on needs and impact. This volunteer-driven program is critical to ensure our United Way is a good guardian of the donations made by contributors and that donor gifts are used to impact the biggest needs of our community. Stuff the Bus is a school supply drive for children in need in the NRV. For the entire month of July the community is encouraged to drop school supplies off at donation locations across the NRV. Along with the month-long donation locations, a Stuff the Bus Event takes place, where school buses are parked and the community is urged to “stuff the bus.” All donations received stay in the NRV to serve the needs of children in this community. United Way frequently holds drives for various partner charity needs and our own emergency pantry. Most commonly we are asked to run food drives for emergency food pantries, but we also do clothing, book, diaper, and various other supply drives throughout the year. Day of Caring is an annual event where volunteers gather from all over the New River Valley to do a one-day project at local charities. This could include serving meals, painting a fence, yard-work, etc. Each fall, we work with partnering charities such as Montgomery County Emergency Assistance Program (MCEAP), Radford Emergency Assistance (REAP), and Program and Floyd County Emergency Assistance Program (FCEAP) to provide local families with a Holiday dinner box filled with Holiday dinner essentials. Donations are accepted throughout the fall and winter at locations around the NRV. Toys from the Heart is a Christmas assistance program that allows parents experiencing an emergency to shop for Christmas gifts for their child (ages 0 -18). Upon approval, families are able to shop for toys, sports equipment, school supplies, and personal items for their children. VolunteerNRV is United Way's volunteer matching site that links interested individuals with local volunteer opportunities. Users can create a profile, track their volunteer hours, follow their favorite local nonprofits and their events, and receive notifications when new opportunities matching their skills and interests are posted. Go online to www.VolunteerNRV.org to sign up! 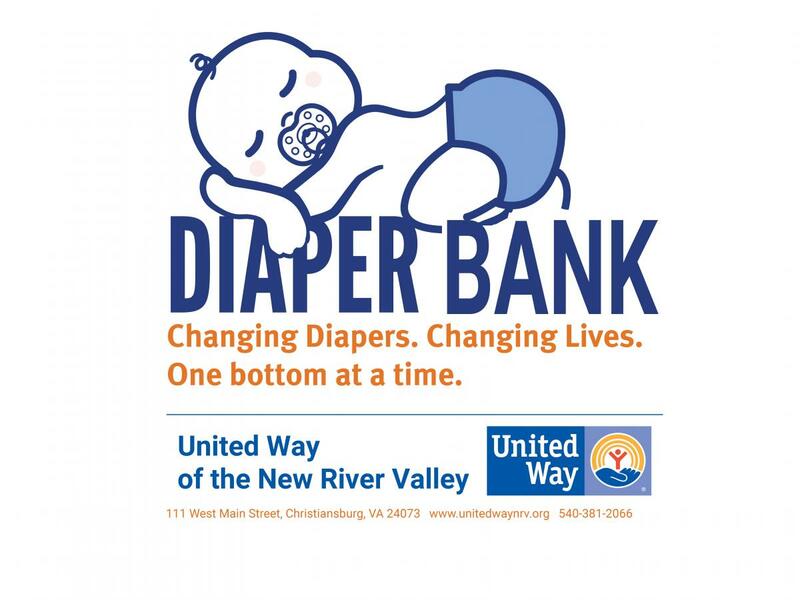 The United Way Diaper Bank has been established to keep local babies healthy and happy by providing access to diapers for families and promoting partner programs to improve health and self- sufficiency in the NRV. Diaper Bank hours are Tuesdays 3-5pm and Fridays 10am-12pm at the United Way office. Click here for participation guidelines and details.